Greetings. I hope this edition of Holsten Galleries News finds you and your family well and enjoying the summer. This month I have chosen some outstanding new works by several of my favorite artists. Please feel free contact me with any questions or comments. Happy 4th of July! Here we have another great example of what may well be Lino Tagliapietra’s most iconic look, the Dinosaur series. What makes this one stand out from others is both the form and the dramatic and unexpected yellow color of the center. 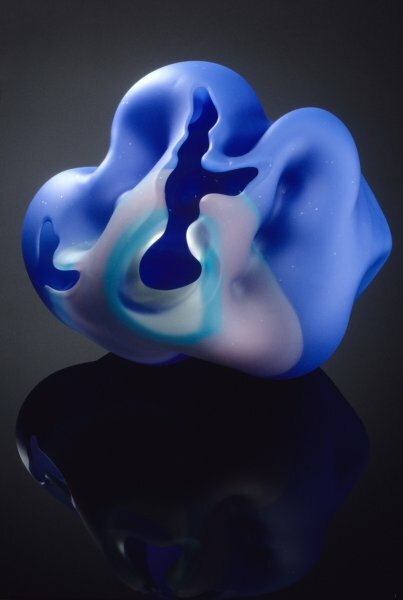 Like all pieces in this series, the overall form of the piece is refined, graceful and organic. This is one of Latchezar Boyadjiev’s larger castings and the first that I have seen with the hint of an abstract face. As always, there is remarkable sculptural sensibility and fluidity to this piece. 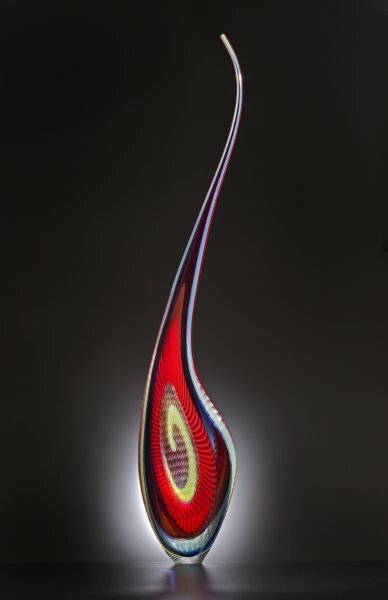 This beautiful classic glass sculpture by Marvin Lipofsky has all of the characteristics that make Marvin one of the most highly regarded glass artists of all time. It is organic, fluid and shows a spontaneity and playfulness that I always love in his work. 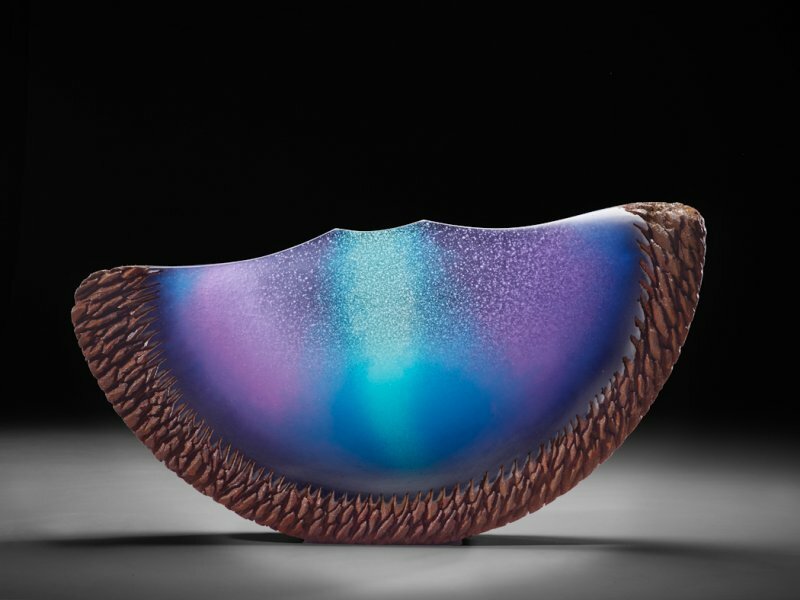 Vessel Display by Dante Marioni, 27 x 19 x 5"
Dante Marioni is widely regarded to be one of the most skillful American glassblowers. Most of his pieces are fairly substantial in size but from time to time Dante enjoys blowing small vessels in the Venetian mode with some variations all his own. These miniature masterpieces are the height of refinement. Viewing a grouping of these works together is a glass lover’s delight. This new piece by Alex Bernstein is one of the most beautiful pieces I have seen of his in the 15 years or so that I have been representing him. There is a mysterious quality to the glass that feels like an invitation to enter into its soft beauty. The colors remind me of photos I have seen of the northern lights. 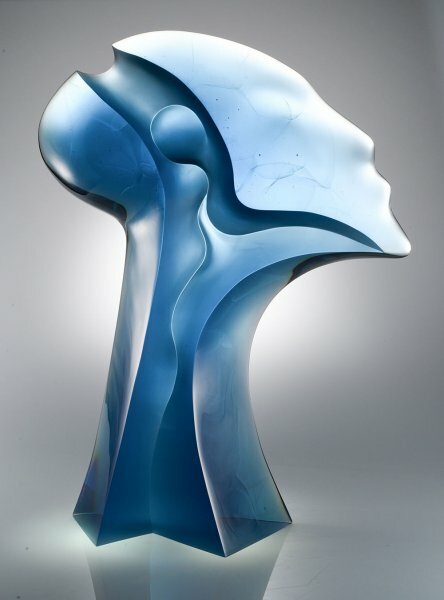 Thank you for spending a few moments sharing in my enjoyment of these beautiful glass sculptures. Be well and stay in touch.